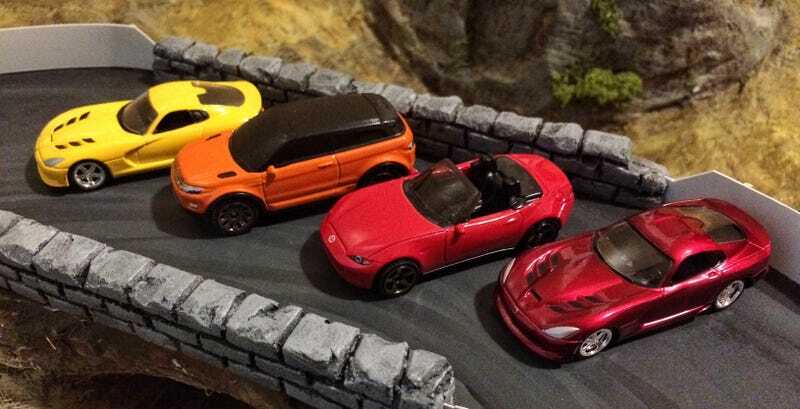 They had a slew of new matchbox that I’ve been looking for, specifically the Miata and the Range Rover Evoque. And yesterday I found two Auto World Vipers at Walmart on sale. Instead of $3 they were 75 cents each!! I picked up both colors, which I’ve actually been eyeing for a while.